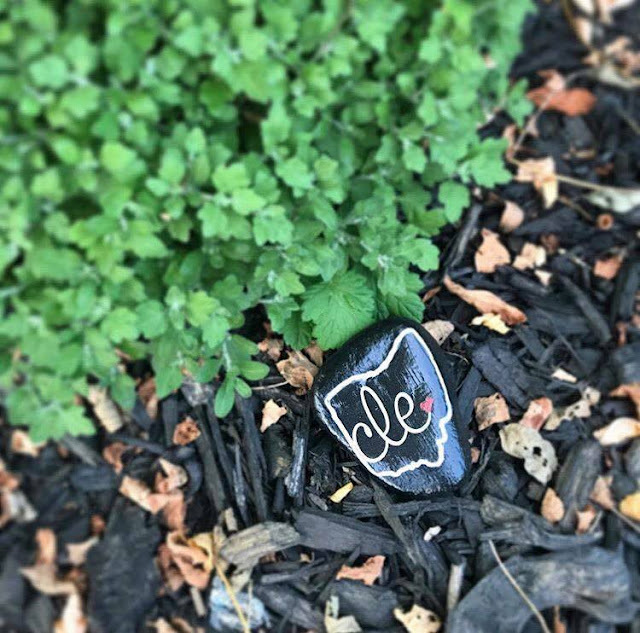 We all know Cleveland rocks, but have you heard of Northeast Ohio Rocks? Apparently this is a trend that started in other cities, but the Northeast Ohio group was established in the summer of 2016 by a local woman named Nancy Powell. It's such a joyful, fun endeavor that I can't help but love it! The gist is just that people... paint rocks & then hide them around the state. Simple & weird, right? But it's so cute. 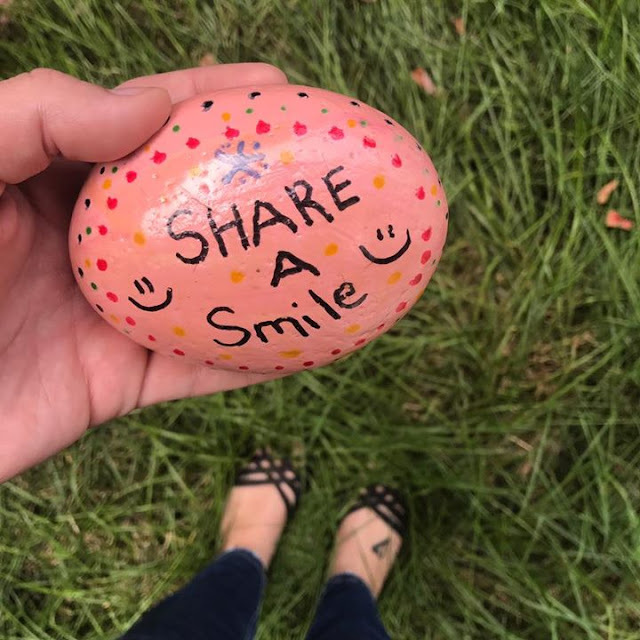 The painted rocks include a note on the back or bottom about the Facebook group, usually accompanied by a hashtag referencing the rock's creator. When you find a rock, you're supposed to post a photo of it in the Facebook group, using the hashtag so its original painter can easily follow its journey. This activity is obviously great for families with young children, who paint rocks with their kiddos & take a few with them on family outings so they can both look for them & hide them. I don't have kids, but even as a childless adult, I'm having a lot of fun with Northeast Ohio Rocks, staying alert while I'm out & about as I look for my next find. One day, as I was walking to my favorite coffee shop, I struck up a conversation with a little girl who lives a few doors down & is always rising her scooter around the neighborhood. "Have you found any painted rocks yet?" she asked me; she was upset that she hadn't found any yet. The next time I hid one, I made sure it was close enough to her house that she'd spot it - & she did! There's pretty much nothing as joy-affirming as seeing a little kid so darn happy. So far, I've found three rocks: The first one was in the little garden area around a tree outside my favorite coffee shop; the second one was in a part next to my house; the third was atop the mailbox on a nearby street corner, & I found it was I dropped a package in the mail. I haven't painted any rocks myself, but every time I'm out & about in my neighborhood, I keep my eyes peeled for the next painted gem! Have you found any rocks yet? If you live outside the NEO area, is there anything like this happening where you live?